If heaven was a hotel it would be The Ritz-Carlton. Inspired by the castle estates of old Scotland, The Ritz-Carlton, Half Moon Bay welcomes you into its fold and leaves you begging for more. Perched on a dramatic cliff overlooking the Pacific Ocean, a stay here is the ultimate coastal indulgence. 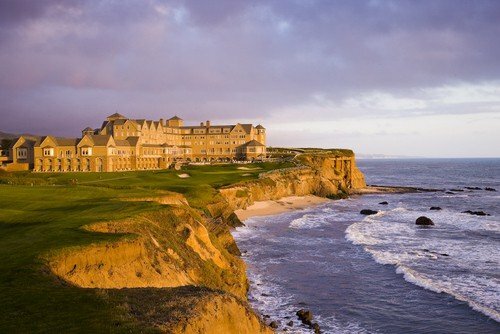 Half Moon Bay’s Ritz-Carlton provides a magnificent backdrop for the perfect Northern California family vacation. Its outdoor facilities include oceanfront fire pits, a weekend Hot Chocolate Bar in the Gazebo, an 18-hole golf course with ocean views from every hole, and a bagpiper that can be heard announcing the arrival of each day’s sunset. The resort’s lush, rolling green hills, a favorite of the resort’s smallest guests, are perhaps the best feature of all. The majority of the guestrooms and suites at The Ritz-Carlton offer panoramic ocean views, and most include comfortable window seats, inviting fireplaces flanked by Adirondack chairs, or spacious terraces. Located just a short walk from the main building are the guest houses which offer a more secluded atmosphere. Tip: Guesthouse rooms are not always pricier than those in the main building and they offer complimentary parking! The Ritz-Carlton literally rolls out the welcome wagon for it youngest guests. 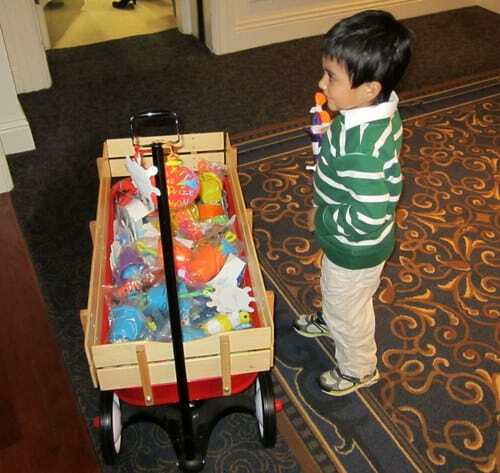 At check-in, children are invited to select a welcome amenity from a wagon full of toys. Over the course of my stay, this delightful wagon was rolled out for my son not just once, but on three separate occasions. On the second day of my trip, a large candy-covered edible castle was placed in my room while we were away. My son’s face lit up like a Christmas tree when we returned to our room to find this unexpected and delicious gift! Since guests at The Ritz-Carlton, Half Moon Bay spend so much time relaxing outside and on their patios, the resort offers a Fire & Wine Butler on Thursday through Sunday evenings. The Fire & Wine Butler roves the property spreading cheer on a specially-provisioned golf cart, offering to assist with fire lighting, outdoor wine service, after dinner drinks, dessert on the terrace, and even hand-crafted s’mores for the family. I have to admit I was a little nervous about dining at The Ritz Carlton with my three-year-old son. Like most young boys, my son is rowdy and loud. He likes to klink silverware and cry at the most inopportune moments. Turns out though, I had nothing to worry about. Both The Conservatory Lounge and Navio are family-friendly. The $92 per person Sunday Brunch at Navio is legendary. I’ve been hearing about it for yearsand have even had coworkers email me pictures of the brunch spread! As such, I was very excited to experience the notorious Sunday Brunch for myself. It not only lived up to my expectations, but far surpassed it. While overlooking the Pacific Ocean, I found myself wishing two things, that I had been born to great wealth and that I had skipped dinner the night before. Sadly, my stomach ran out of room before I could try everything. For a more relaxed setting, The Conservatory Lounge is ideal for families with toddlers and offers a bistro menu throughout the day. Guests entering the spa will discover calming views of the Pacific Ocean and enjoy the comforting sounds of tranquility fountains throughout the facility and treatment rooms. For a tranquil respite before or after treatments, guests may also relax in a candlelit co-ed Roman mineral bath, complete with a glowing fireplace. For mommy’s little princess between the ages of 2 and 10, the Princess Fizzing Manicure and Pedicure offers a blend of miniature aromatherapy fizzing balls to soothe and tickle the hands and feet. Tip: Spa guests with a valid California driver’s license living in the Bay Area can enjoy 15 percent off on any a la carte services in The Spa or Salon Monday through Thursday. Little ladies and lads visiting The Ritz-Carlton, Half Moon Bay can enjoy special activities just for them in the Ritz Kids program. From daily programs and Friday night parties, to summer adventures and innovative classes, the resort has much to offer its younger guests. From June 18 to August 24, The Ritz-Carlton offers fun, enriching day camps in week-long sessions designed for children to enjoy a hands-on experience in a remarkable coastal setting. Each week is a different theme. In my humble opinion, these summer camps are a great value. 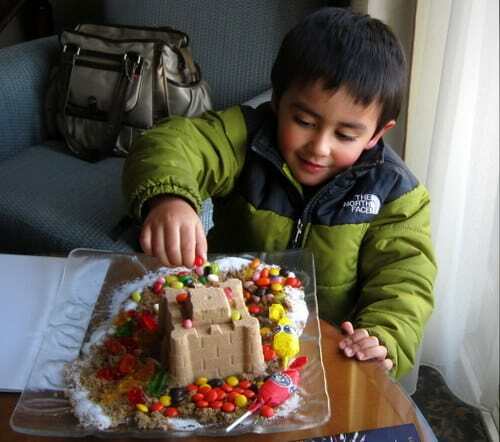 For just a few dollars more than a Montessori program, your child can experience the summer Ritz-Carlton style! Disclosure: I received complimentary lodging, spa treatment, and meals as a guest of The Ritz-Carlton. The Ritz-Carlton did not request that I express any particular opinion and my reviews always reflect my honest opinions.